After almost 2 years of living with Ray, I still reflect with a degree of sadness on what his previous life may have entailed. He was found with no collar; no license tag; no microchip, and he was neither reported missing nor claimed. We found out later that he also had heart worm, which is terminal if not treated but preventable, so it would appear that he was not particularly valued. It is probably of no surprise to regular blog readers that I am very protective of him. Ray has made huge improvements in his reactions to people and dogs since he has been with us however, he regularly makes it very clear that he still likes his “space” but then, don’t we all? It is also very clear that he is very protective of me, and misreads body language such that he may well react very badly without any obvious provocation. He wears a muzzle when out for this reason. When on our walks, I am always looking for circumstances that could result in Ray getting a little stressed. Typically it could simply be a small child who has seen this large cuddly dog coming towards them. I hear “Look! Big doggy!” and my protective side engages immediately as I position myself between the child and Ray and give a very clear “Don’t touch!” Where adults are concerned, this is generally not an issue and, in fact, one benefit of the muzzle is that most people will give Ray lots of space! Off-leash dogs, however, are a very different story. I was bitten by a “friendly” off-leash German Shepherd a very long time ago and so have an appreciation of potential possibilities! Given that Ray is both leashed and muzzled, the approach of an off-leash dog becomes a serious concern. Ray cannot go anywhere because of his leash, and he cannot protect himself because of his muzzle. He could be in a very difficult situation. Not too long ago in a local park, I saw a large brown dog running towards us and heard “It’s ok …… he’s friendly!” The dog may well have had good intentions, but I recalled being bitten by a friendly dog. It also crossed my mind that Ray may not appreciate this fast approaching dog. It always amazes me that people can actually believe that because their dog is friendly, all will be well. Why doesn’t it cross their mind that the person to whom the dog is running may have had a bad experience with a dog and may become very apprehensive as the dog approaches? Why doesn’t it cross their mind that an apprehensive person with a dog, is a recipe for complications because the dog will sense its owners discomfort and may well react accordingly? Why doesn’t it cross their mind that there are many dogs that, as a result of human stupidity, neglect or simple delinquency, are very nervous about approaching dogs? My reaction in these situations is to position myself between the oncoming dog and Ray, and take a broad upright stance which will hopefully bring the dog to a standstill, which it usually does. In isolated instances where the dog is clearly trying to find a way around me, and where Ray is certainly not happy, I usually make it clear to the owner that either he/she gets their dog under control, or I will, and they would probably not like the way I do it. Recently, a more serious situation developed as we were returning home after an evening walk. It was dark and as we passed an unlit alley between two buildings, a large black dog suddenly came running at us out of the darkness with its leash trailing behind it. Its manner dictated that friendship was not on its mind. I positioned myself as usual, which stopped the dog however, it then started making very menacing motions to Ray. 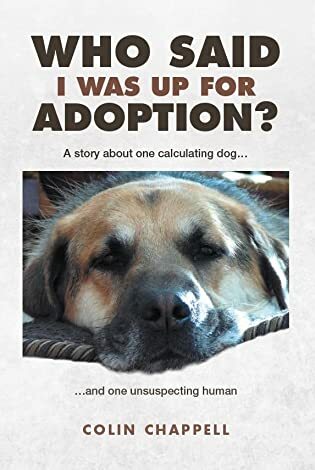 Lips rolled back and snarling is a pretty clear message and, as I have absolutely no reservations about kicking a dog if the circumstances dictate such a drastic measure to be necessary, I shifted my position such that I could kick if it lunged. A young woman suddenly came out of the alley and, sizing up the situation, started screaming at her dog. The dog was totally focused on Ray (and me?) and ignored her. She then told me that if I kicked her dog, it would bite. From my perspective, that was likely going to be the outcome anyway unless something changed, which it did. A man walked passed us and, during the time that the dog was momentarily distracted, the woman grasped the end of its leash. People are exasperating at times. As the woman walked away with her dog, she mentioned that if anything had happened to it, she would have held me accountable. I suggested she consider the fact that it was her dog that was off-leash which contravenes our local By-Law. Her response was simply “My dog was on his leash!” I guess she chose to ignore the fact that she was supposed to be holding onto the other end! Yup! You cannot beat personal experiences to make a point! Ray’s a beauty! Just found Ray’s blog (you may believe you write it but we both know…) through scifihammy. We are little dog humans (see past post “Writer’s Blockbusters for pictures) now but in my past life “Dutch” allowed me to care for him. He was a black and tan shepherd raised from birth. A tremendous dog and missed greatly. He stayed with me for 10 years until displaysia overcame him. Shepherds are special animals and if we lived where one could be outside and not annoyed by strangers and strange dogs we would have another. But it is little ones for now. Dutch went to work with me everyday. I was in college and worked at a boat shop. His mother was the shop night watchdog and the shop owner had kept Dutch’s sister from the litter. They grew up together and wore each other out with play. Dutch was an accepted member of the shop staff and made friends easily, until one day. I was working on a boat in the shop bay when one of my customers decided he would play a prank and sneak up behind me and surprise me. He was my age and we often water skied together. Dutch was lying under the boat on the cool concrete floor and all I heard was nails digging into the concrete and my friend shriek in fear. No skin was broken but that was Dutch’s last day at work. Yup! Being threatened by a small angry lion does make quite the impact! “Friendly” dogs cause so much trouble by running straight at your dog. I also have problems with my unsocialised dog Little Monkey, who freaks out at this approach. Have you heard of the “yellow ribbon” which is supposed to indicate to others that your dog is anxious, in training, old or sick etc, and needs Space! It isn’t in use here in SA, but I believe in other countries it is becoming known. Of course, when the other owner is an idiot, no amount of yellow ribbons is going to stop her! The “yellow ribbon” thing has been here for a few years now but is not well promoted. As you say though ……… when the dog owner is an idiot, no amount of yellow ribbons is going to stop the interaction. That was a no brainer! Your last comment to me, via Einstein, fits here also. I think folks have generally lost their manners these days. No one thinks of others situations or how their actions, abeit small to them, could have large consequences to another. Depending on the size of the dog coming at me, I may have unmuzzled my dog, not like I’d have time, however I may have thought about it. What a crazy lady.. ‘he’s on a leash’… I’ve heard that many times. Are people getting this stupid? Don’t answer that! ! You’re much like me, I’d protect my fur children from a bear if necessary. You are a saint for helping Ray realize that life can be full of love and comfort! I too have thought of taking off his muzzle (and even unclipping his leash) as his help would be invaluable …… but the reality is that there would be no time!